From the corners of the Curve. : The Fatkini Post. So I finally decided to write the 'Fatkini' post. For those that don't know Fatkini is a term to describe a bikini that us plus size ladies wear. The name originally came about from blogger Gabi Fresh who posted a picture of herself looking gorgeous in a two piece bikini basically Gabi was making a statement to all women to proud of how they look no matter what size. 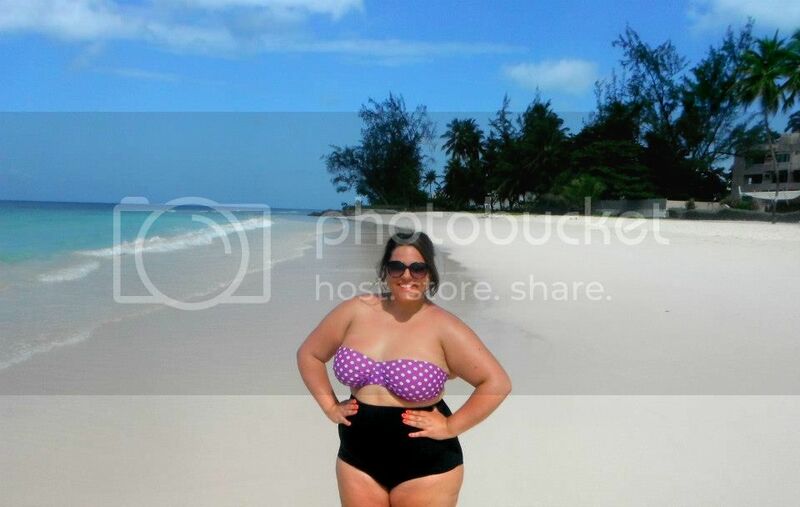 This spurred on lots of girls to also send in photos of themselves looking beautiful and confident in their 'Fatkini's'.The post showing the pictures of the girls can be found HERE. This following statement might cause upset with some people but I still find it difficult to hear the word Fat. I know that many plus size girls really take ownership of the word and use it as a positive way to describe the shape of their bodies. I however do not. Although I am fat I still find the word to hold great negative connotations. When I think back to the times I have ever been called FAT it holds nothing but painful experiences. Some might argue that 'curvy' or 'plus size' is matter of denial but those are the words that I choose to use when I describe myself. I only wish I was like those beautiful women that fully own the word fat I guess I am just not there yet. When getting my swim wear for holiday I was nervous about the idea of being in a two piece but then thought to myself why should I care what other people think of me? If I want to wear a bikini I bloody well will. I still wanted to wear something that would cover up my tummy area as that is what I am self conscious of the most. I took inspiration from Gabi Fresh in her high waisted two piece from the above pictures. I was then perusing through the lovely Bethany of the Arched Eyebrow blog and came across her here looking amazing in a high waisted set from Elomi Lingerie. I have to admit I felt great when I was on holiday I didn't really have a care in the world. I was after all in paradise in the Caribbean. I didn't for once think of how disgusting I looked in a bikini. Dan always tells me how beautiful I am and for once I kind of felt it. I was enjoying my time away, the peace and tranquillity of the island and finally enjoying being comfortable in my own skin.